Avery Biomedical Devices appoints Dr. Anders Jonzon as Clinical Consultant - Avery Biomedical Devices, Inc.
Avery Biomedical Devices (ABD), manufacturer of the Avery Diaphragm Pacing System System, is pleased to announce the appointment of Anders Jonzon, MD; Ph.D. as clinical consultant. 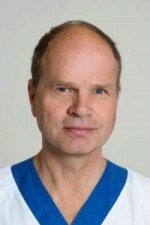 Dr. Jonzon is a Physiologist and consultant in neonatology and pediatric cardiology at Children’s Hospital, Uppsala University, Uppsala and Children’s Hospital, Karolinska, Stockholm, Sweden. From 1984-1986, he was a fellow at the Cardiovascular Institute (UCSF). His research has covered circulation, control of breathing and ventilator treatment. Dr. Jonzon has more than 25 years’ experience of phrenic nerve stimulation in children with CCHS (congenital central hypoventilation syndrome) and other diseases causing hypoventilation. Linda Towler, CEO, states, “We are honored and delighted to have Dr. Jonzon join our team. His experience and expertise in evaluating and treating those with congenital central hypoventilation syndrome (CCHS) will be instrumental to the future success of ABD.